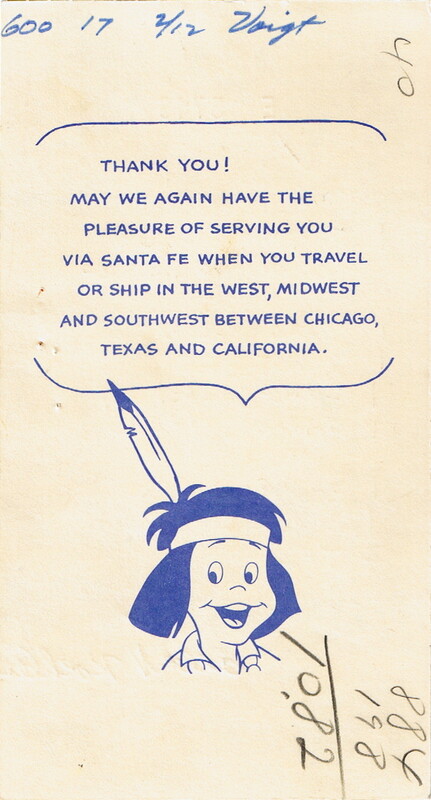 Description Atchison, Topeka and Santa Fe Railway (ATSF) Railroad Form 2050 Std. 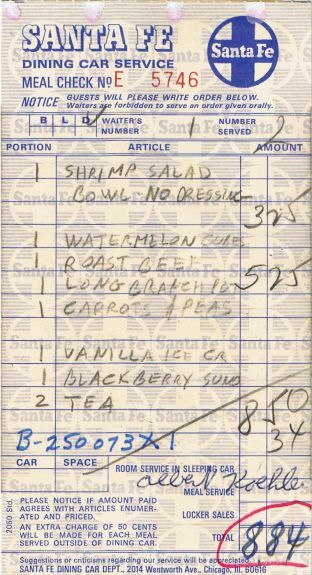 Dining Car Service Meal Check - Receipt Only. 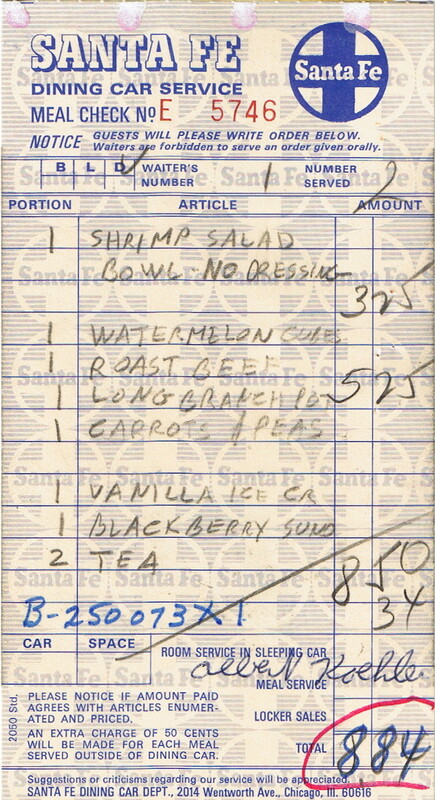 Only $8.84 for a very nice meal.